Like Kelly’s remixed design of Twilight in the Garden by Joanie Horton and Melanie Greseth of Tailormade by Design, Kate Colleran’s design used partial seams. 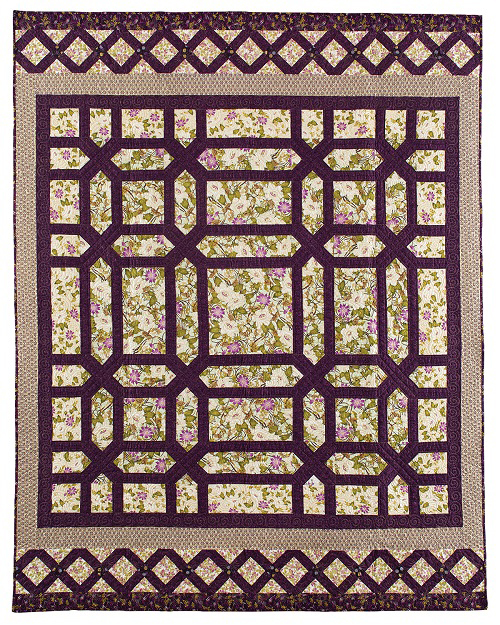 Kate designed her remix in EQ7 software from Electric Quilt and added some new blocks which honored the original design. She also added French braid or friendship braid borders, which allowed her to use her Braid Template (available on her website, SeamsLikeADream.com) to quickly make the needed patches. Kate demonstrates using the template and creating the braid for those borders.